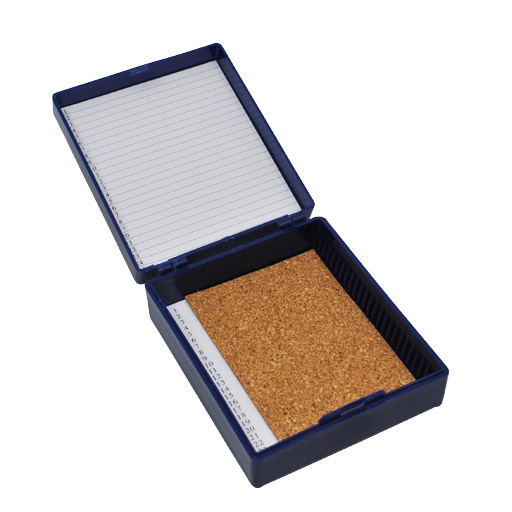 This microscope slide storage box for 25 slides is produced from durable ABS plastic and offer a hinged lid for easy opening and closing. An inventory sheet is affixed to the inside cover for convenient slide identification and organization. The base of the box is cork lined for added protection.